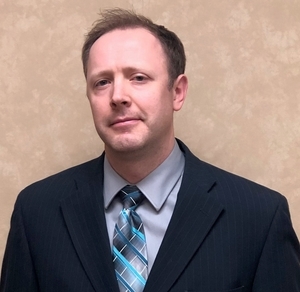 Utah Business Formation | Attorneys Serving Clients in Orem & Provo | Jeffs & Jeffs, P.C. Starting a new business can be an exciting endeavor. However, without trustworthy counsel by your side, it can also be risky. 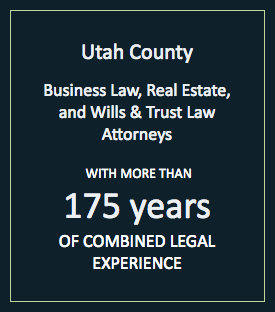 At Jeffs & Jeffs, P.C., our lawyers have more than 175 years of combined experience assisting small business owners in Utah County. We know how to avoid the various pitfalls that exist in the business world and we are proud to pass our extensive knowledge on to you. Aspiring business owners face many challenges. However, with the guidance and support of a savvy business law attorney, you can greatly increase your chances of starting a successful company. Corporations: Most large companies are established under the corporation model. Corporations have limited liability. This means that shareholders can only lose their investment, not their personal assets. Corporations are ideal for industries that have a high level of risk and liability. Sole proprietorship: Under a sole proprietorship, your business is owned and run by you. While you receive all profits of the business, you are also responsible for any losses or debts incurred by the company. Partnerships: Partnerships are formed when two or more individuals wish to create a business together. It is important to realize that under this type of business formation, each partner is responsible for all debts and legal responsibilities of the partnership. Each partner is also jointly and severally liable for the actions of the other partner. Limited partnerships: A limited partnership is made up of two types of partners: limited partners and general partners. As long as limited partners do not participate in the control and management of the partnership, they have limited liability. General partners, however, are responsible for the obligations of the business. Limited liability corporations (LLCs): LLCs mix the most favorable attributes of corporations and partnerships. An LLC essentially combines the limited responsibility of a corporation with the pass-through taxation status of a partnership as well as giving the owners flexibility in the division of responsibilities and risk. At Jeffs & Jeffs, P.C., we are dedicated to helping you create a successful business in Utah. To speak to one of our highly qualified attorneys, please contact us today by phone at 801-373-8848 or via our online form. We have flexible hours, free parking and are located two blocks from the Provo courthouse and one block from the new Latter-Day Saints Historic Provo Temple.